We provide brews from all over the world. Columbia, Ethiopia, Sumatra, and Guatemala to be exact. 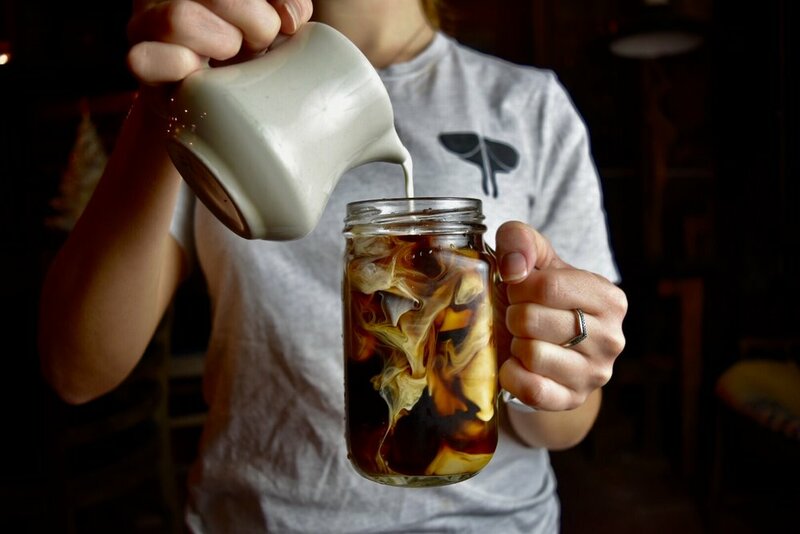 We make our cold brew everyday in small batches to ensure the best flavor possible. All of our coffee drinks can be served over ice, perfect for those really hot days or if you just really like ice. Whether you prefer an americano, latte, drip coffee, cold brew... we got you covered for all your coffee needs. If you don't drink coffee. That is no problem at all, we offer two amazing tea companies. Wise Ape is based out of South Jersey. The Tea Spot is a Colorado based women's company. Both have the highest quality tea and range in a wide array of flavors. Whether you prefer an herbal tea or a black earl gray, we have you covered!